Rich As A King - Book on Personal Finance, Investing & Money Management. Apply winning chess strategies to your personal finance, investing, and money management. 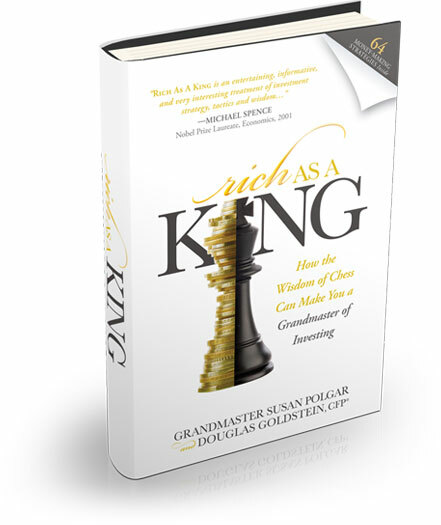 Rich As A King is not just another personal finance book nor just another chess book. It is the first book to incorporate chess strategies into creating personal financial success. Rich As A King isn’t only for chess players. It is for anyone who wants to improve their financial situation.